The Ourthe, the fluvial lung of this ancient medieval city, flows through sensational landscapes that sportsmen and visitors of all sorts can discover in kayaks. Programmes can be combined as desired, with point of pride the feudal castle, a historical emblem of the region. 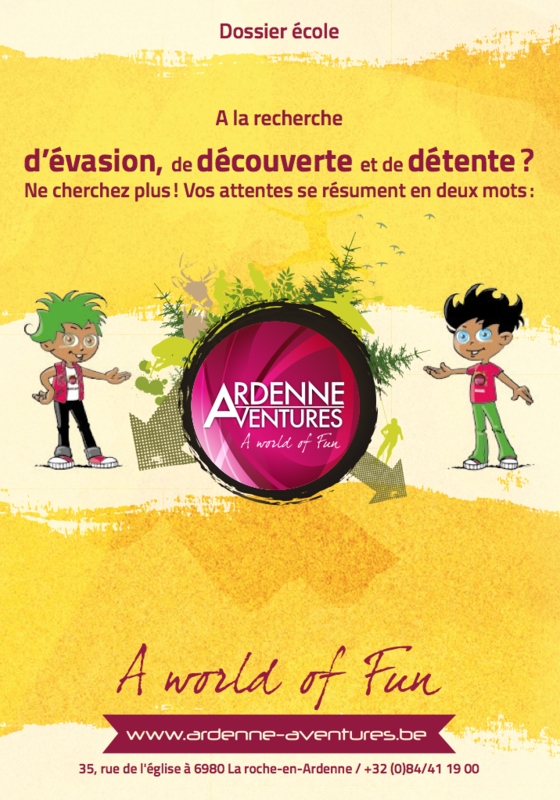 All this is backed by a team from Ardenne Adventures keen to advice and support customers through each activity. Peruse our appended school brochure and do not hesitate to contact us for more information.